Need a new camera, tripod, lens other? Visit these. This is an extensive selection of photography related gear. rent a variety of camera lenses! This quality line of American made products offers photographers, birdwatchers, sports enthusiasts, and others a unique selection of support devices for cameras, spotting scopes, binoculars, and other optical devices. Strong, compact, and lightweight, these products are ideal travel companions whether in a vehicle, on foot, on skis, or in a boat. these are a must have if you are into serious photography. 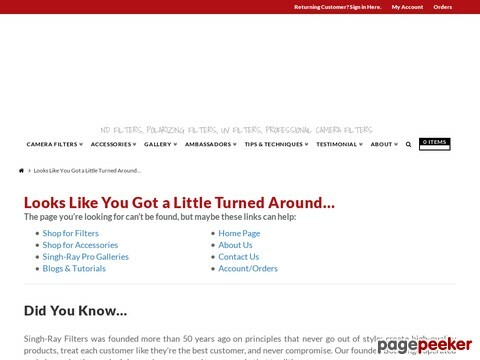 Dave recommends these filters.